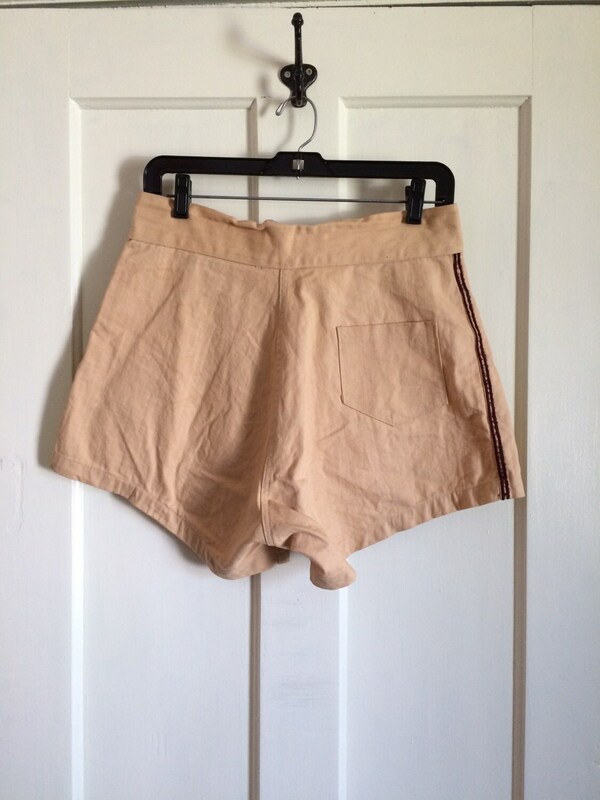 Here's a pair of men's HBT shorts from the 1930's. 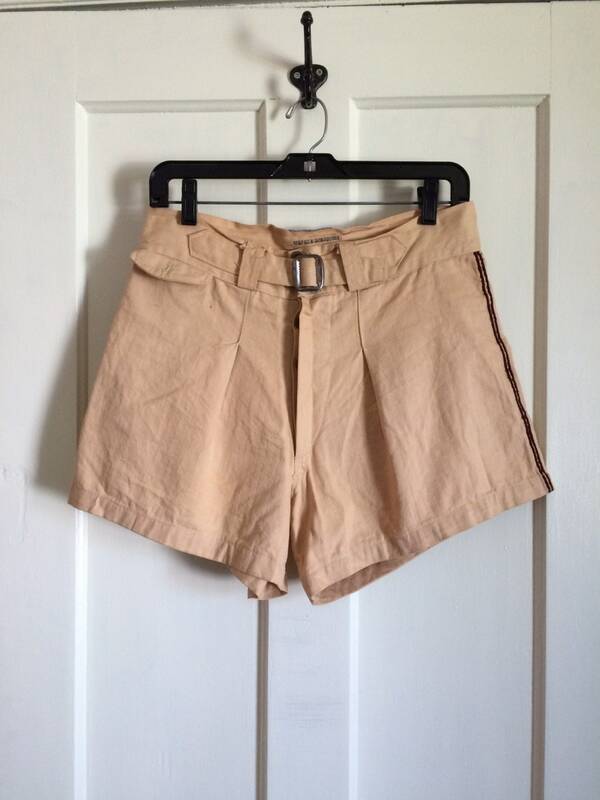 They're cotton with a buckle in front and button fly. 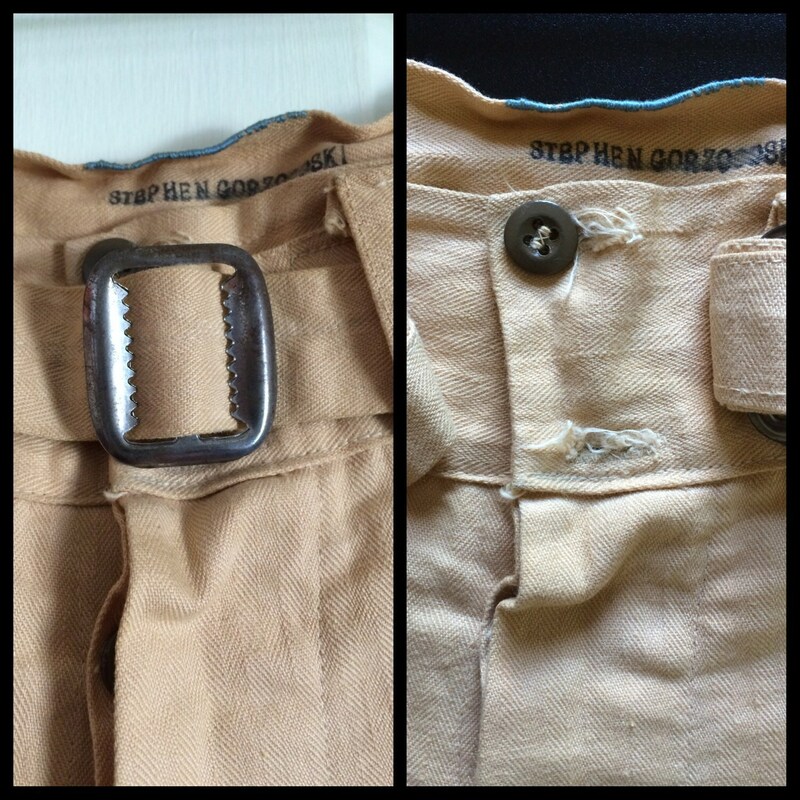 The front pocket button is missing and one of the waistband buttons is missing. 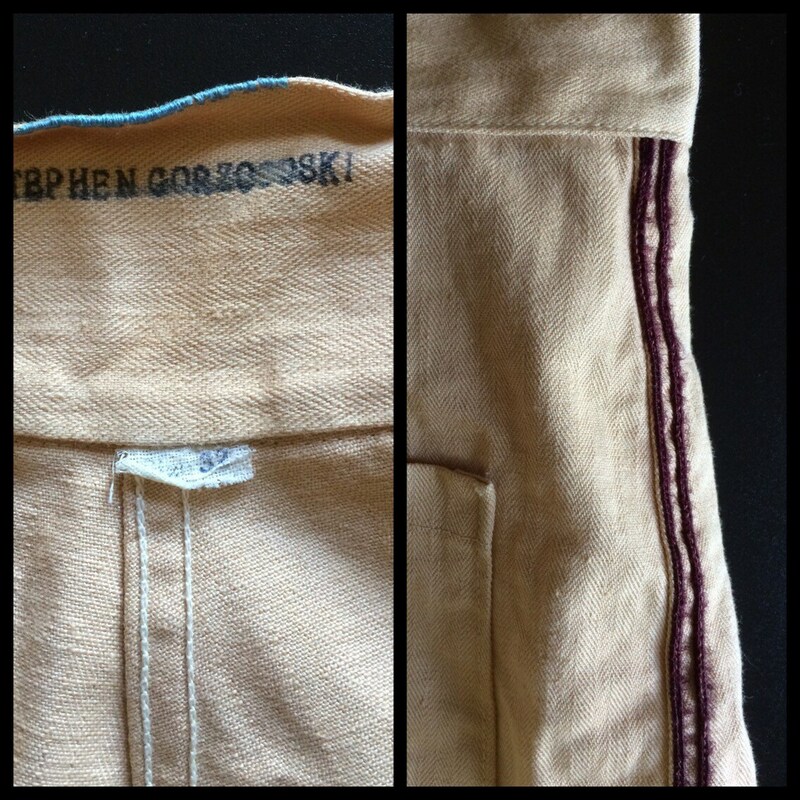 There's an embroidered repair in the back waistband and some stitching has come loose at the top of the belt loop. 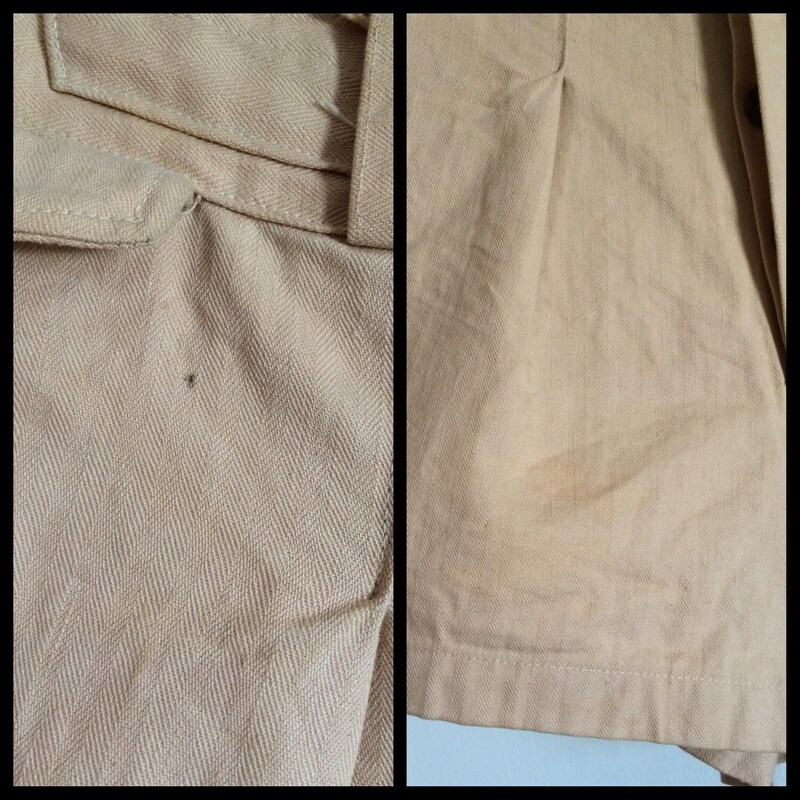 There's slight discoloration on the right leg, and a small spot by the front pocket, see last photo.